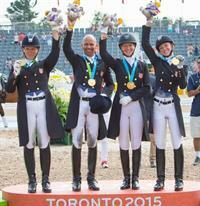 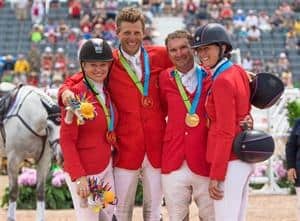 Strong performances by all four members of the U.S. Pan American Dressage Team over two days at the 2015 Pan American Games resulted in a Team Gold medal win and direct qualification for the 2016 Olympic Games in Rio de Janeiro, Brazil. 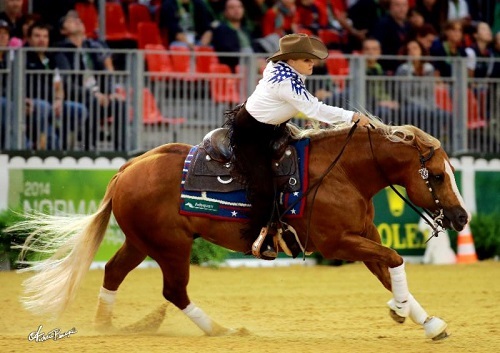 The team, composed of Sabine Schut-Kery and Alice Womble’s Sanceo and Kimberly Herslow and Kiroli Enterprises LLC’s Rosmarin in the Small Tour, and Laura Graves and her own Verdades and Steffen Peters and Four Winds Farm’s Legolas 92 in the Big Tour, was focused and consistently excellent to end on an overall score of 460.506. 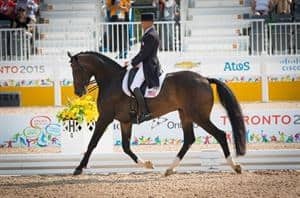 Both Graves and Herslow marked personal best scores in the FEI Grand Prix Special and Intermediaire I tests, respectively.